During your Keynote Klass, you’ll show or tell us where you see yourself going as you progress in your music lessons. Don’t be shy, but it’s totally okay if you are- we only want to see where your strengths lie. We’re going to teach you a lesson! You’ll receive a typical lesson so that you can see for yourself just what to expect from us. Then we’ll tell you where to find the suggested method books for your future lessons. There WILL be homework. No worries here. We’re simply going to ask you to put your goals on paper. This can be completed during your Keynote Klass or you can take it home and think about your answers. The good thing about this homework is that you already have all the answers. In about 30-45 minutes you’ll have a certain plan of action that brings you closer to your music goals. We are delighted to learn more about you, your dreams, and your ambitions. Finally, you’ll receive a gift as a kind gesture in support of your music lesson pursuits. 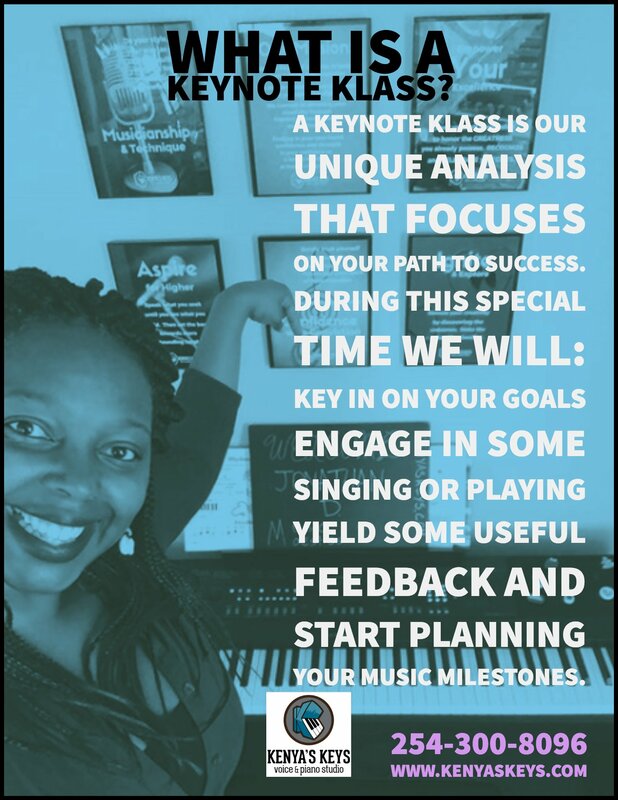 A Keynote Klass is a great way to get a feel for how we’ll work together to make you a better musician. She knows what she’s teaching, pays attention to detail and makes it fun, not just work. I'm Ready for my Keynote Klass! Is my child ready for music lessons? Did you know we literally wrote a #1 Best-Selling book that answers this very question? 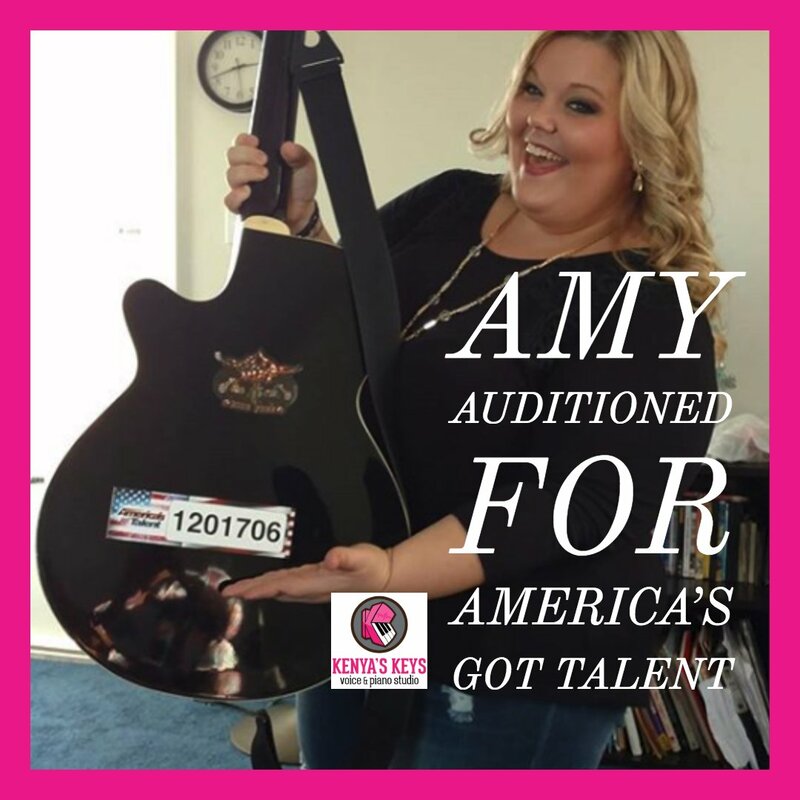 This book is for the caregiver looking for wonderful music exposure opportunities for their child through books, real-world experiences, and engaging parent-child activities. Take a look! Takenya is helping me get my singing confidence back. She is an amazing musician and teacher. I highly recommend her. Your Keynote Klass is our official first meeting where we will boldly go where the music takes us. We’ll have the chance to become more familiar with one another as we learn each other’s interests. This excellent use of time helps us gain confidence in one another’s abilities. It is a healthy way to lay the groundwork for the incredible journey we are about to take on together. Successful first lessons are crucial when working to move your dreams to actions. Everyone needs to learn about each other and it can take a few months to settle into a weekly lesson routine. The first few lessons (and beyond) will address: making the student and parents comfortable in the lesson studio, getting to know you/your child and his family, assessing the student’s abilities, developing healthy practice habits, making sure everyone knows how to take the work we’ve done during the lesson back home for purposeful practice. Can we GIVE you something? Choose from 5 fabulous freebies when you click below. These goodies will be delivered to right to your inbox.